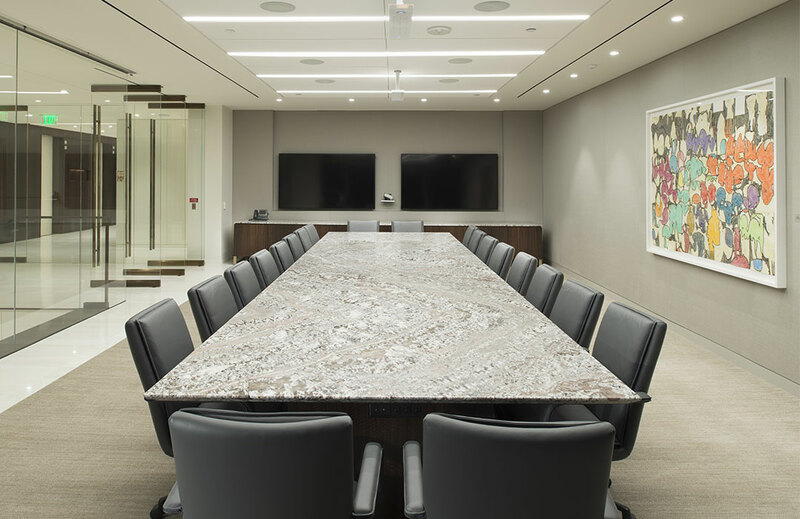 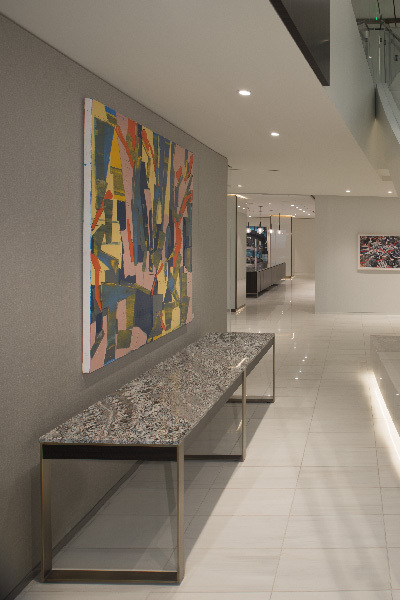 At Gibson Dunn & Crutcher we were presented with a project that required the use of a mix of exotic materials specified by the design firm. 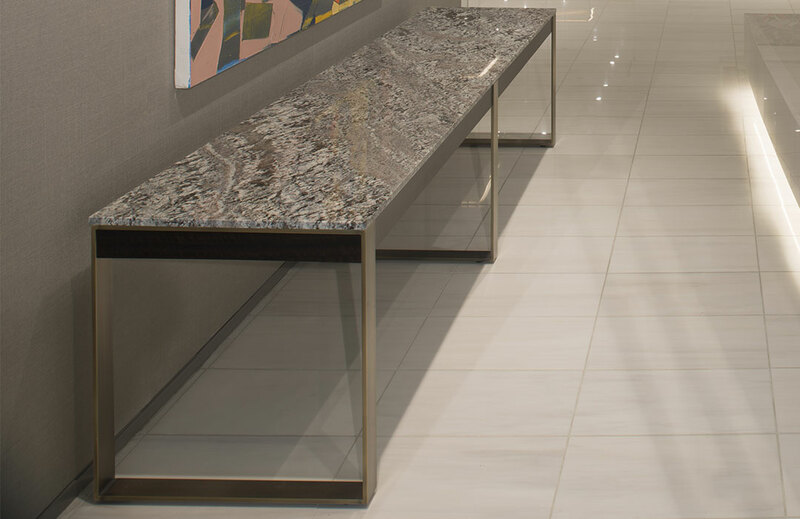 We were tasked with providing the engineering and execution of these materials to produce beautiful furniture pieces. 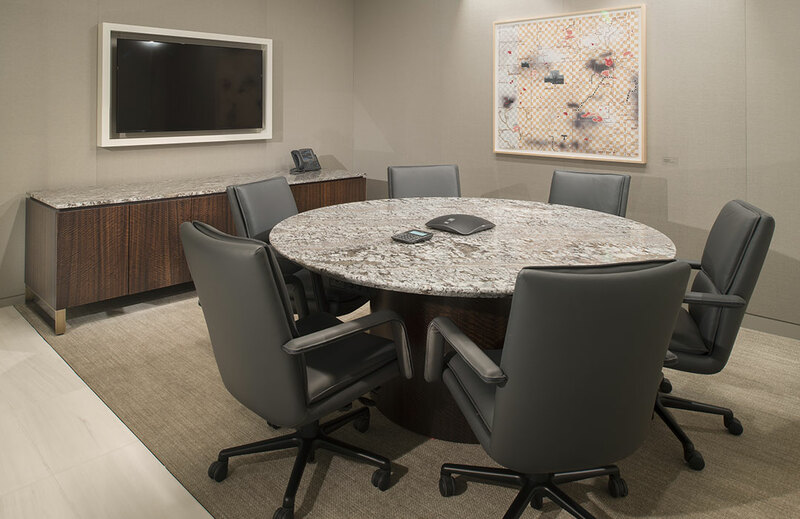 Our scope on the project was to provide conference tables and credenzas for a total of eight conference rooms and the board room. 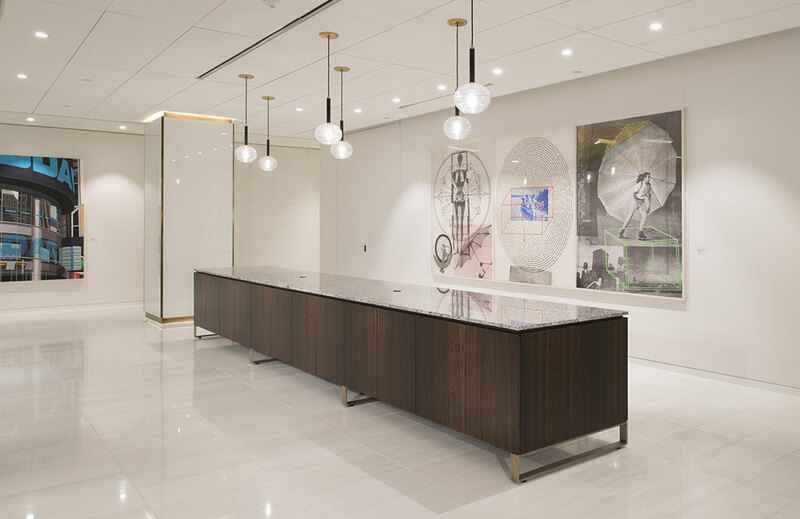 In the servery area we provided an 18′ x 4′ servery buffet credenza. 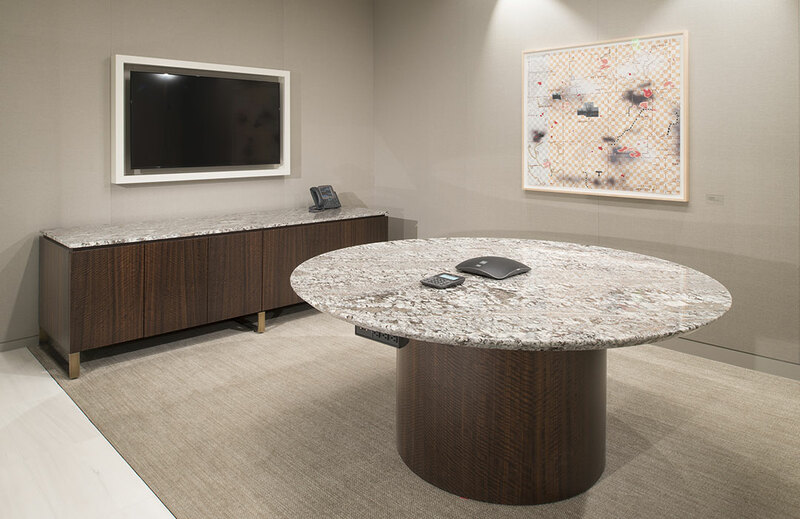 In the common areas custom console tables were provided. 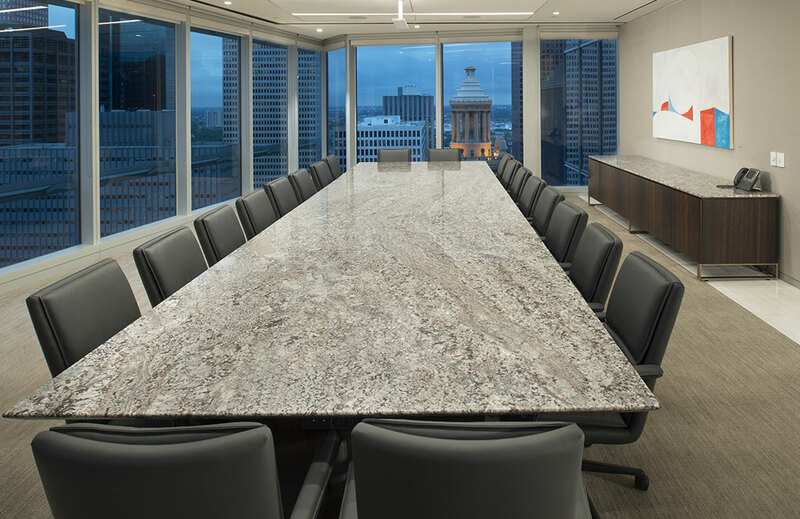 Quarter Cut Fumed Eucalyptus was used on the table bases with Linen Granite finishing the tops. 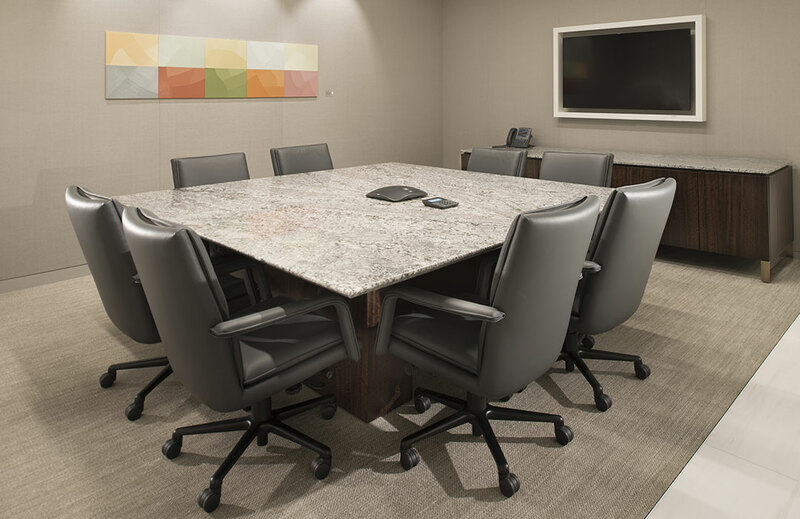 Seclusion power / data units were fitted below the top edge to provide power and data connections without interfering with the beautiful stone tops. 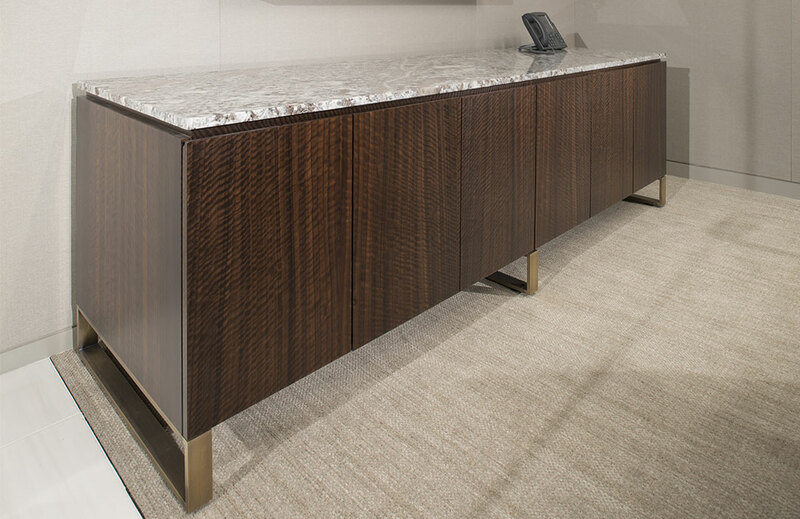 Credenzas were fitted with Linen granite tops set on Quarter Cut Fumed Eucalyptus cases floating on bronze bases. 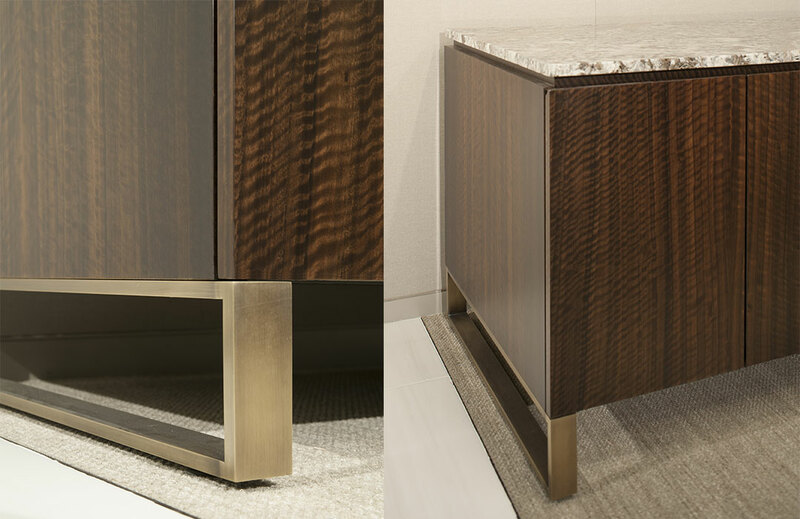 Console tables included Linen granite tops set on bronze bases with Quarter Cut Fumed Eucalyptus accents. 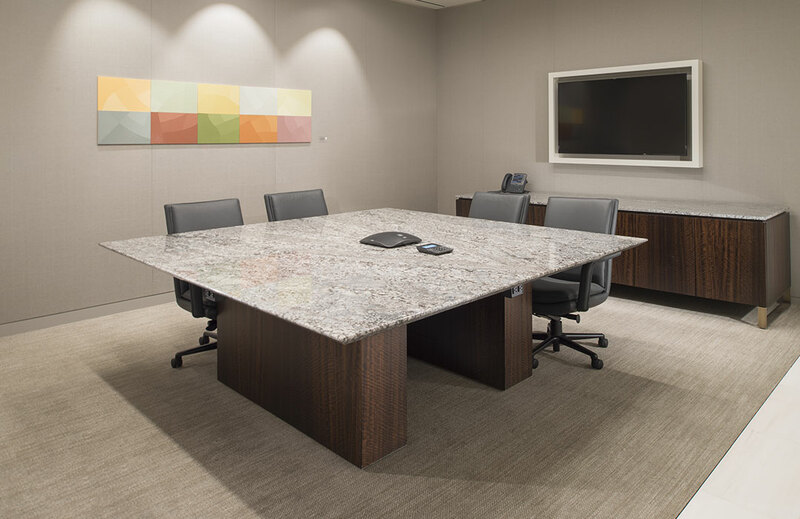 The end result was a very happy client and a beautiful project.